The Amaz... er... Spectacular Spider-Man has always been one of my favorite superheroes. And this is (to date) the version I like the most. First of all, it has the right color scheme, the right suit markings and looks right! Then, it looks vintage which suits me just fine. 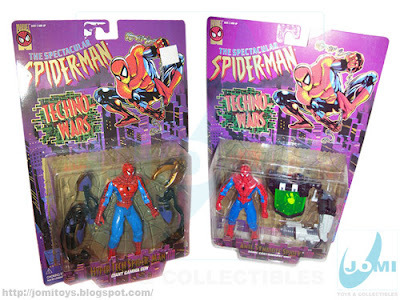 To the best of my knowledge, this particular version was available in 1996 (Toy Biz) in 2 different sets: Techno Wars Anti-Symbiote Spidey and Hyper Tech Spider-Man. 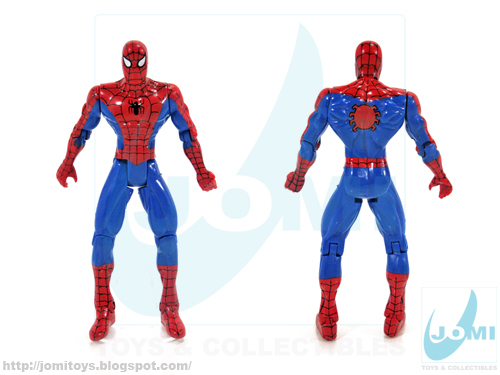 Figure: Spectacular Spider-Man by Toy Biz. Markings state 1995, but both above sets are from 1996. It has a Secret Wars feel to it and I love it! 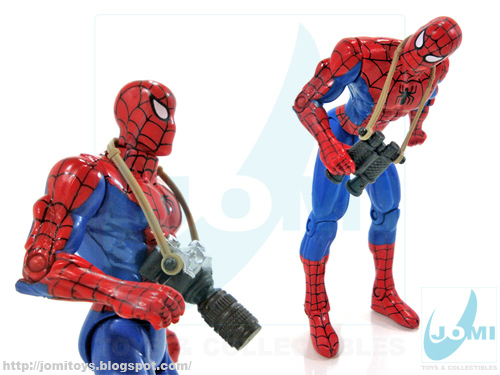 Now, of course it doesn´t come with open hands closed enough to grip a weapon, since Spidey uses no guns having his own sticky web wrist cannons. BUT, one of the hands is closed enough to grip some accessories. 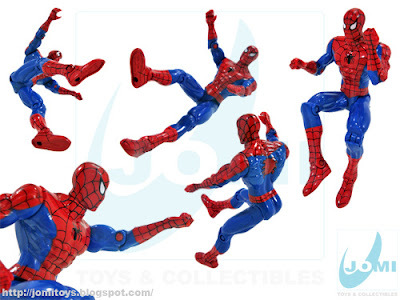 The... amazing thing about this figure other than its looks has to do with the poses it can deliver. Some of those trademark moves. It really looks like Spider-Man! Of course Peter Parker needs a camera, so Chap Mei to the rescue! And while we´re at it, some binoculars just in case he feels like... bird watching... on top of N.Y. roofs! 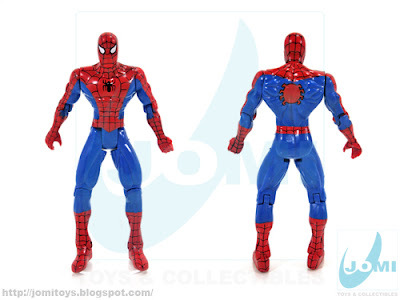 He is very reminiscent of the old secret wars figure but with a few more points of articulation.To bad he doesn't have that extra little bit of movement in the shoulders tho.Its surprisingly hard to find a good dead on likeness of spiderman anymore. What a great version of old Web Head! I´m really happy you guys agree! @Brothermidnight, you´re dead-on. @jboypacman, spidey is really done right this time! 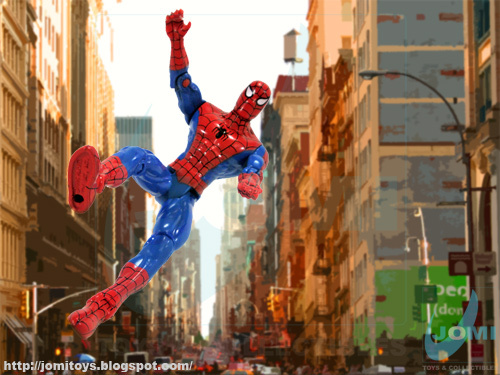 This is a very solid rendition of Spider-Man.As a kid i would have had loads of fun with it! More toys on the way! Happy Children´s Day and 1000 posts Milestone!